Between end of school year activities and summer trips and projects, it’s nice to get a helping hand from brands like today’s sponsor, General Mills. 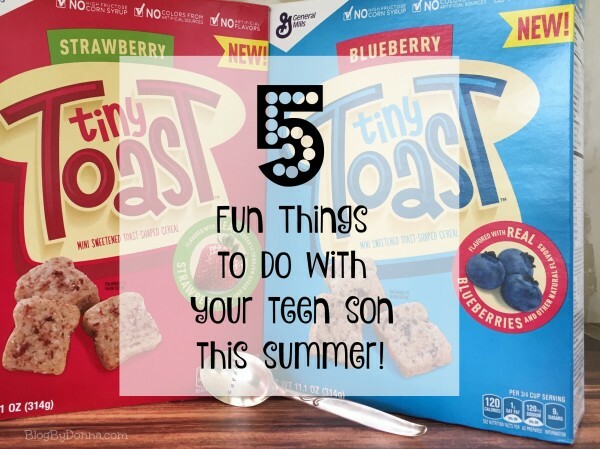 They want to help moms keep their teens fueled with fun snacks this summer. It is officially summer! Although, judging by the weather, it has felt like summer for the past month here. 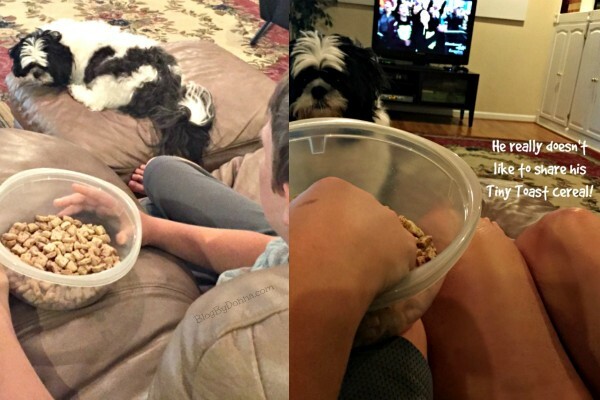 Having a <cough> teenage <cough> son in the house this summer is no different than having a tween in the house, yet it is different. Not sure if that makes sense, but my baby boy is growing up. I want this first summer of teen(dom) to be a fun one, a memorable one. I also love doing mom and son things with him. He and his dad spend a lot of “guy” time together and we do lots of things as a family, but I’ve noticed as he has gotten older, the mother/son time has dwindled. That’s not good. So it’s time for this teenage boy and his mom to have some fun! And what better time than summer?! Even if we go on vacation during summer break, my son and I always take at least one road trip to see my parents. This summer is no different. We take our time and make stops, so it is usually about a 5-6 hour drive (each way). A decent road trip for just a mom and son. 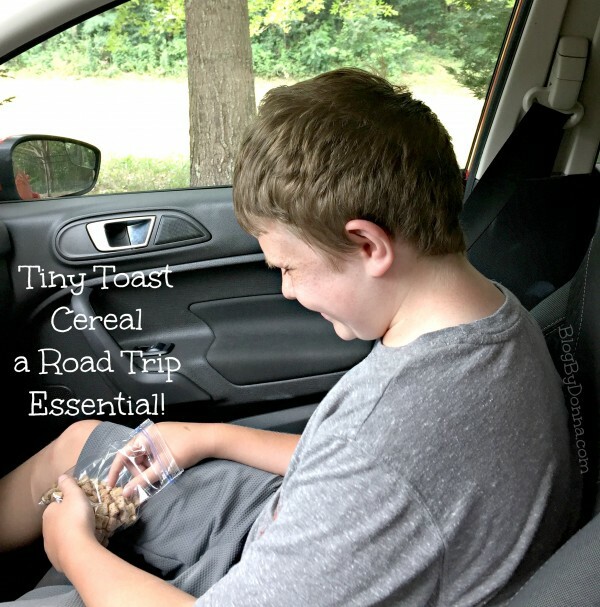 I don’t take road trips without snacks, like Tiny Toast cereal, but we keep the electronics packed in the backpack when it’s just the two of us because we spend road trips talking, singing to the radio, and playing silly driving games. You don’t have to drive cross-country to take a road trip, just the two of you with some snacks and water, and a great time to really catch up. And another plus… you have a captive audience. As hot as it’s already been lately, we’ve take advantage of the pool. What teen doesn’t love the pool? It’s a great time to relax, play pool games, eat snacks, and cool off. 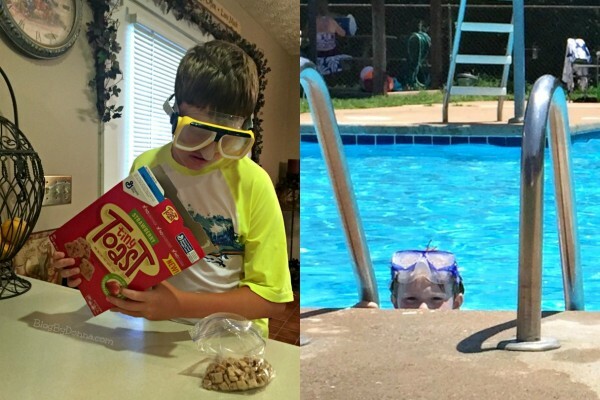 Is it strange that my son only wants the strawberry Tiny Toast cereal when we go to the pool? It’s true, though, he only wants strawberry. I love that both flavors have real strawberries and blueberries in every bite. I also love that they only have 9 grams of sugar. I highly recommend taking your teen son to the pool, whether you have your own backyard pool, a community pool, or public pool, you’ll have a blast. Just be sure to use plenty of sunscreen. Find a good movie, grab a delicious snack, like Tiny Toast cereal (which contains no artificial flavors, no colors from artificial sources, and no high-fructose corn syrup), and relax. On a hot summer night, it’s a great way to unwind and just hang out without having to talk, yet still be together. Keep the movie fun and/or light (keep the conversation starting movies for another night/time). It doesn’t have to be at night, either. If it’s a rainy day, just make it a matinee. We are a very competitive family. Like, really, really competitive. We take no prisoners. We have a huge cabinet full of board games and card games and will play games as a family a lot, but during the summer, my son and I try to play more often. 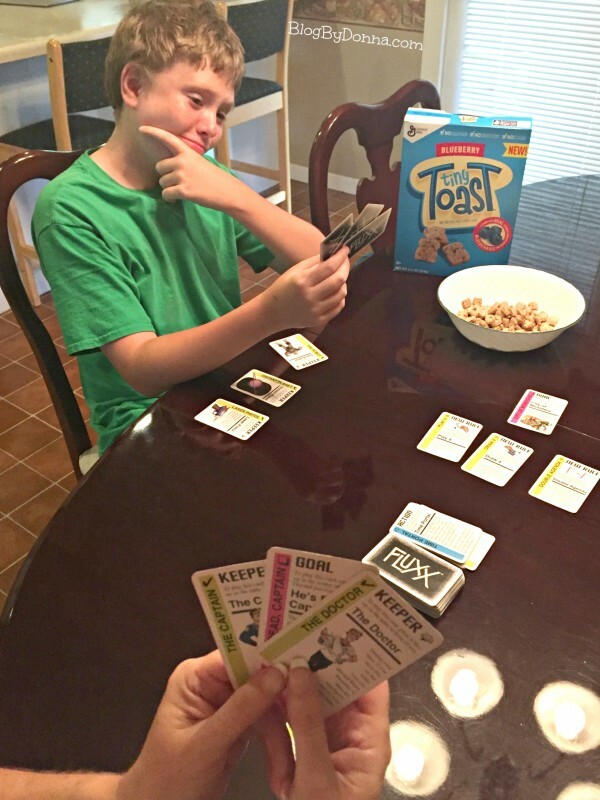 Set up a game, grab your snacks — even if my son doesn’t like to share the Tiny Toast cereal — and let the games begin. Remember, it is just a game, but I like to win. Just saying. 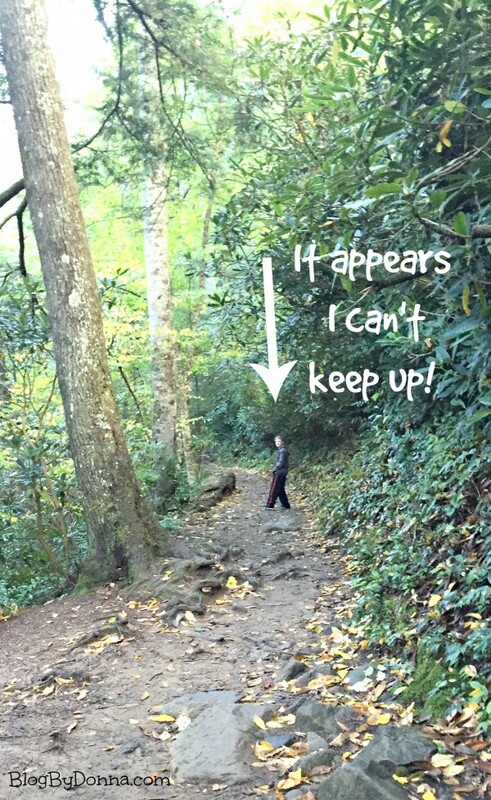 We live near the Great Smoky Mountains, Norris Lake, and several other lakes and parks with trails, so hiking is a great way to get away with your teen that’s free. You get exercise, explore nature, and get to talk, all at the same time. Not to mention, if you choose the right trails, it can even be quite cool on a hot summer day. Pack plenty of water and a tasty snack like, General Mills Tiny Toast cereal and make a day of it. Snacks (General Mills Tiny Toast in Strawberry and Blueberry are great snacks). I picked up two boxes of General Mills Tiny Toast cereal (strawberry and blueberry) at Kroger, one of my favorite grocery stores, and had such a lovely conversation with the cashier checking me out. She really was so nice. 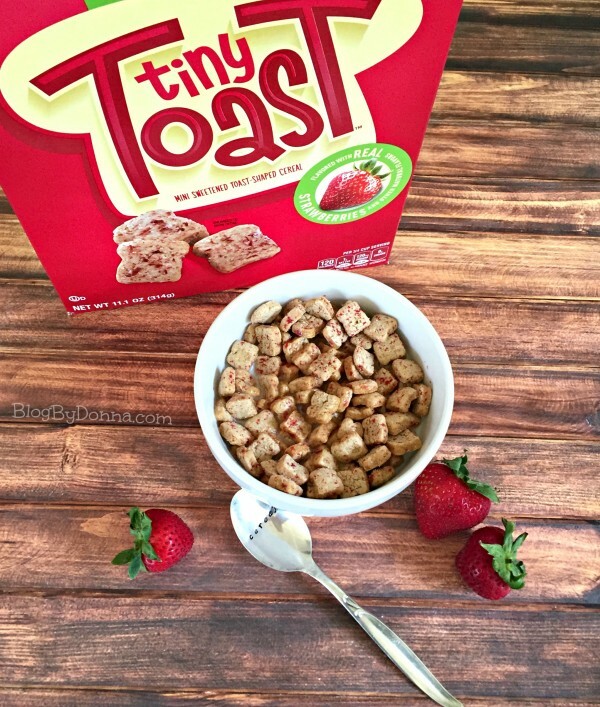 Be sure to print out a $1 off coupon to use when you pick up your Tiny Toast cereal at Kroger! I’ve done most of this with my daughter this summer.